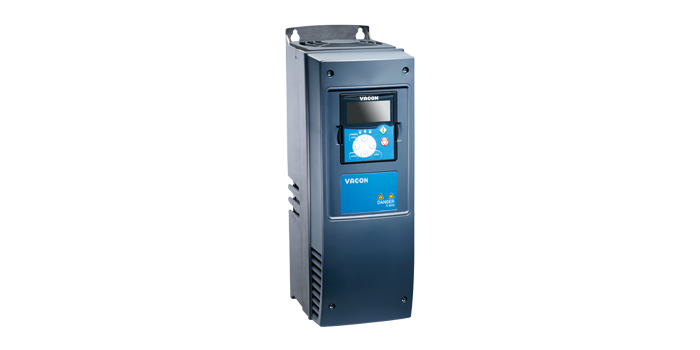 VACON® NXP Air Cooled drives offer precision and power to applications that require a robust and dynamic performance. Available in a complete power range up to 2 MW, they are provided as wall-mounted, standalone enclosed and IP00 modules. The drives provide optimized motor control for both induction and permanent magnet motors, and gearless drive applications and paralleling solutions for high-power motors. Fast fieldbus options and exceptional programming flexibility ensure the drives are easily integrated into any plant’s automation system. Engineering time and costs can be saved due to the high number of standardized options and reduced system complexity. Elevators, escalators, cranes, hoists, winches, cargo pumps, pumps, fans, conveyors, machine tools, yaw and pitch control applications, oil pumps, winders and unwinders, pulp dryers, tissue machinery and extruders.